Autumn at the Arboretum opened on a rainy weekend Sept. 22, but its pumpkins and fall foliage displays were still dazzling. The popular fall festival will run through November 21. This year’s storybook Pumpkin Village theme illustrates “The Adventures in Neverland,” based on the beloved book, Peter and Wendy. 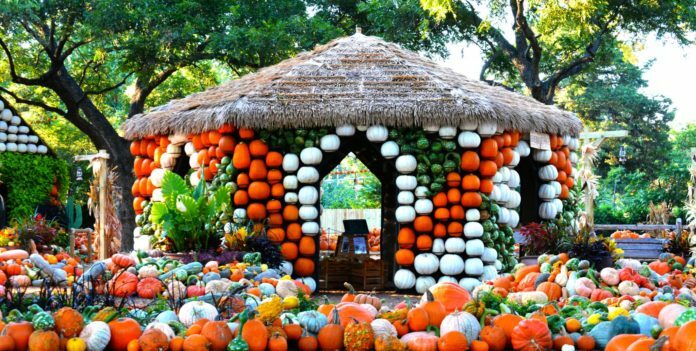 Adventures in Neverland village delights the eye with 90,000 pumpkins, gourds and squash. They have been transformed, as if by magic, into the Darling House, a Pirate Ship, Tinker Bell’s house and the Lost Boys Hideout. There’s also an alligator, mermaid and Tinker Bell topiary. This enchanting village promises to be the background for thousands of selfies and family photos this fall. 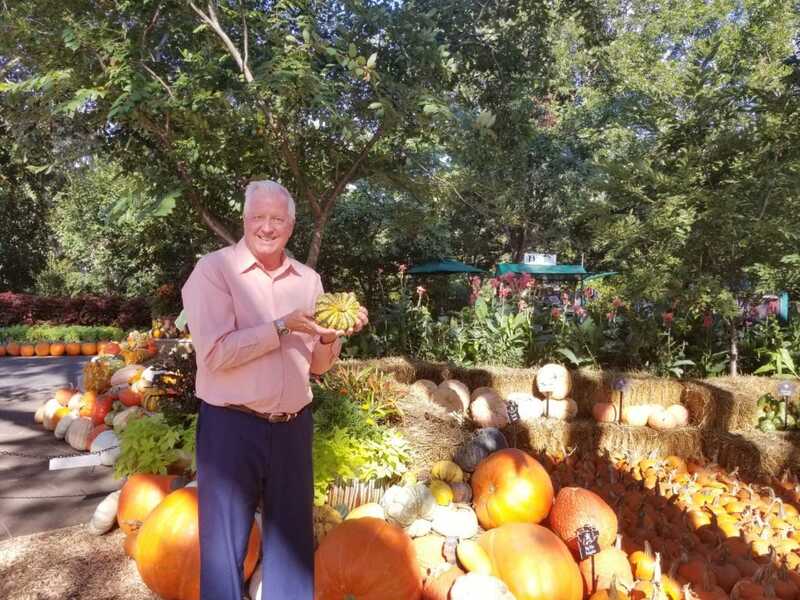 “Our horticulture team is creating a creative Pumpkin Village exhibition and displays throughout the garden where more than 250,000 people will experience Autumn at the Arboretum,” said Dave Forehand, Dallas Arboretum’s vice president of gardens. When Autumn at the Arboretum guests arrive at the Neverland Pumpkin Village, they start in London at the house of the Darlings. Take time to look inside the house, where Wendy and her brothers are dreaming of pirates and fairies. Other major stops include the Lost Boys hideout where Peter, Wendy and the Lost Boys talk about never growing up. A pirate ship sails the seas of gourds and pumpkins in Pecan Grove where Captain Hook keeps his eye to the sky as he hunts for Peter. Tick-Tock, the Crocodile, waits patiently among the pumpkins for another opportunity to attack. A visit to Neverland would not be complete without a stop by Tinker Bell’s fairy hut. There’s also a Pixie Village that’s very picturesque on a smaller scale. Many activities take place during the festival. These include children’s activities, historic DeGolyer House tours, Harvest Tea, beer and craft food tastings, gourd demonstrations, live music and book signings. 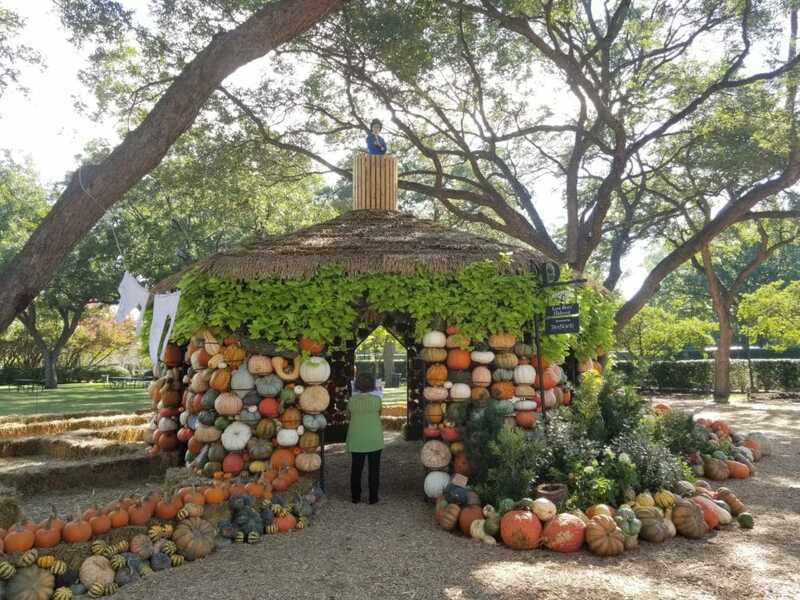 At A Tasteful Place, a garden dedicated to healthful growing, harvesting and preparing healthy food, there are cooking, gardening and floral demonstrations, cooking classes, harvesting times and daily tastings.